Families and cultures throughout the centuries are not that different from how they are today. I’ve found many connections between my family and thousand-year-old cultures and realized that every person has to adapt to something new. My Italian grandfather – my mother’s father – immigrated to the South of Brazil around the beginning of the 1900s. 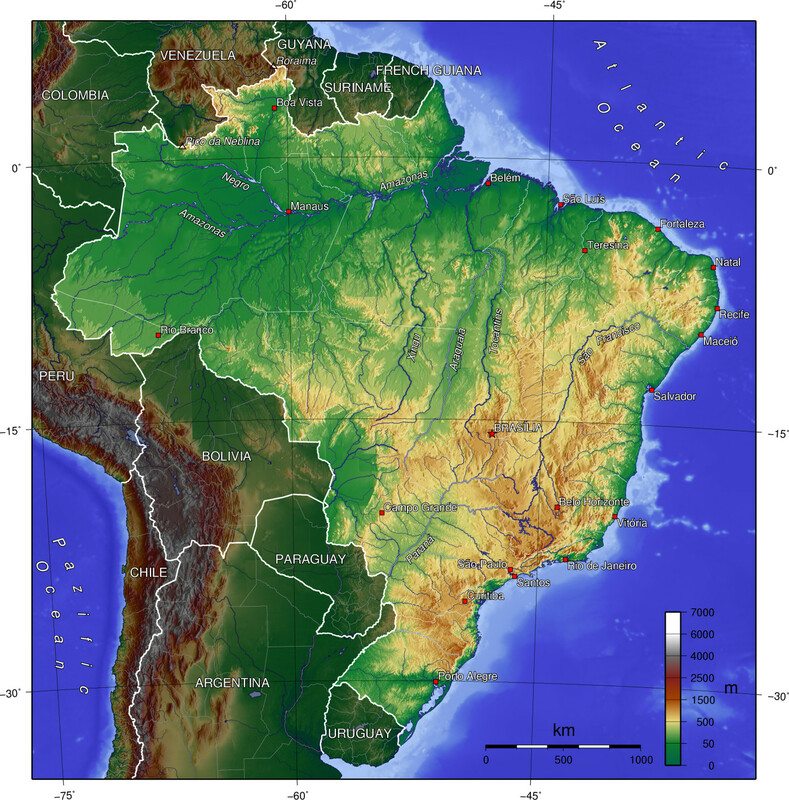 The South was chosen because of its colder weather, which is more similar to the weather in Europe than that of northern Brazil, so it would be easier for my grandfather to adapt. However, my grandfather was not the only one to immigrate to Brazil; many families from all over the world, especially Germany, Japan, Italy, Portugal and Spain, were seeking a better life. The largest influx of immigrants settled in Brazil from 1872 to 1972. People immigrated mostly because overpopulation and industrialization in their home countries resulted in shortages of jobs. Since many of these people were farmers, they moved to the United States or Brazil due to the vast amount of unoccupied land following Brazil’s independence in 1822 and abolition of slavery in 1888. Brazil needed farmers to come to work and help the country rise economically since there were no more slaves to do the farm work. Many started working on farms and soon had enough money to buy their own land, and that’s what my grandfather did. Much like the United States, immigrants comprised much of the Brazilian population. My grandfather was able to buy many acres of land and create his own vineyard. In the process of all this, my grandfather met my gypsy grandmother. My grandmother had to adapt to my grandfather’s customs. She began working on the farm, and from what I heard, she was usually the one who gave the orders. She even made her own ritual with the other women who worked at the farm. At the end of every week they would get together to dance, listen to music, and drink chimarrão (a drink similar to tea). She also learned how to make exceptionally good Italian food, and was always a great contributor to the family reunions which usually happened every weekend after a hard week of work. Similar to the Greek symposium, my family would cook a lot of food and eat for hours and hours. My family has always drunk a lot of wine, so they always had plenty. But unlike the Greek symposium, women participated in the reunion as much as the men did. During the family reunions and family meals during the week, they ate typical Italian food. It was all handmade spaghetti, polenta, bread, cheese, tortellini, gnocchi, cappelletti soup, crostoli, and many other kinds of food. My whole family had a part in cooking and it was an excuse for the family to spend more time together. Recipes were learned from our parents or grandparents. It was much different from today, when we usually learn how to cook by recipe books, which I believe has destroyed the family’s time together. For my family, it has always been considered an art to make food taste the best you can. Food has always played an important role for my family because it was always a good excuse for gatherings, and eating and loving food is a trait we share. Food has played an important role in most cultures; its importance throughout history is clear. Thank you for sharing some of your family history! I especially enjoyed the part when you talked about your family’s history and traditions surrounding food and how those traditions are linked to the larger role of food in culture. What an incredible family story you have! While I was reading the italian food descriptions I got hungry. It is very amazing how can someone have a heritage from such different places. I think is also very interesting how in latin american europeans came to settle down there and start a new life, they were so brave. Thank you for sharing your family’s history. I really enjoyed reading it and I like how you talked about the different traditions that are followed in your family and their importance. Thanks for posting! I like how your family doesn’t really have gender roles. My family is similar in that we just do what is best regardless if you’re a boy or girl. Just get the job done. That is awesome that you could share this! I love they way you talked about how your grandmother changed to your grandfathers rituals and customs. That is a good way to look at things, also with the ending of society and our hearts are so true. Being from an Italian family, living in Brazil do you get a lot of confused responses to you heritage from people in the US? For me, I know that other countries like Brazil or Australia, have just as promising futures as the US, but I’m always somewhat shocked of people emigrating there that weren’t the original colonial powers. In short, good for your family and defiance of stereotypes! Your article was very interesting! I think how you went more into depth and explained industrialization and agriculture and how your family adapted to their surrounds at that time. Very well put and thought-out! Thank you for sharing your story! Its a great story to read about because of the two different cultures of Italy and Brazil. It was great reading about the foods you share at family gatherings. I just recently found out that my family history consisted of farmers. Even after migration from China to Laos, the farming occupation was passed down from generation to generation. My generation in my family is actually the first generation to not become farmers since we were born in a city environment instead of a country environment. Just like your family, my ancestor has a history of migrating from countries to countries to find a better life. Thank you for sharing your family history and it is amazing how much information we find that we never knew before. It’s really cool how you traced back and found some very neat stories about your family! I hope to do the same. I enjoyed reading this! It was well written and full of interesting information. Just out of curiosity, did your grandfather take on any of your grandmother’s customs or traditions? It seems like she was the one that had to conform – which is not too surprising because that’s how it was back then, but I’m interested in how (or if) he had to adapt to any aspects of her lifestyle. Thank you for sharing your family’s history. I enjoyed reading it and I actually found some similarities with my family history too. I like how you made connections between the present and the past, which is something that provides a deeper understanding of where we are coming from and where we are going. I also liked the reflection you made at the end. It is such an amazing story and connection. Its really interesting to hear the connections you made while doing this project. Now when someone asks you why your grandfather decided to go to Brazil you can tell them! What an interesting story! I like how you described how your family traditions started with making different kinds of food together and you still do it today. It’s fun reading about what different families from around the world do in both their spare time and what they consider traditions at family gatherings. This is a great family story. I really like the introduction to your family history and how you tied into current family life. To be honest when you listen the food i got hungry for Italian food. Again great article! I really enjoyed your writing! I like that you talked about how your family is considered crazy for following their dreams. It’s interesting to me that some people will call others crazy for doing what they want to do. I, personally, am all for being the best “you” that you can be! Reading about your heritage was very interesting as well. Great job! I like how you said, “cooking is an excuse to spend more time together.” It seems that your family was centered around food, or maybe the other way around! Very entertaining article, although it made me hungry when speaking of homemade pasta! Thanks for sharing! Interesting view point. I’m guessing most readers here are familiar with the immigration to the U.S. narrative. It’s nice to hear a different perspective and be reminded the U.S. isn’t the only destination for immigrants. I’m curious, what influences has Brazil had on the Italian food your family prepares? Thanks for sharing a little about your family history! I completely agree with the cooking portion as its best to learn from ones elders and artistically cook instead of structurally cook like a scientist would following a recipe or equation. “By listening to our hearts and not following society’s standards we are bound to be seen that way. It’s a good thing we don’t mind.” I really liked this line. There are so many things that are viewed by society as correct, only in support of the majority. Thank you for sharing, I will definitely use some of your ideas for my project! “For my family, it has always been considered an art to make food taste the best you can. Food has always played an important role for my family because it was always a good excuse for gatherings, and eating and loving food is a trait we share.” I especially love this quote because it shows how much food means to people, especially your family. In my family, food is not just a meal, but a way to remembering our past as a family and as a culture. I think a lot of people can relate to your article and the history that you shared with us. Thanks for your post and I look forward to reading more of your work! It is interesting to note the lack of noticeable gender roles among your family. Interesting point about the immigration from somewhere besides the United states.At times it is hard to think that people migrated to places other than the US because it is all we have been taught. Is there a mixture of Portuguese and Italian cuisine there as well? Your story challenges a lot of cultural norms we expect to see throughout the world. Refusing to engage in gender roles is a very powerful statement and one that is not so easily done. What an amazing story. Was a great example of cultural diffusion and showing how two worlds collide to make one whole new experience. Thanks for the story. I love the message of following your heart as opposed to what society has decided as the best course of action. It’s always awesome to understand what you relatives went through then in order to understand why you are who you are, today. Awesome stuff! I really enjoyed reading your article! It was nice how you connected the past with the present, and I could see how proud you are of your family. While reading the article I found many things in common because cooking in family is something that we do in my family, and I still learn how to cook from my grandmother. It was nice seeing how people from different places can have many things in common. Very cool article. I like how you talked about food being very important in your family. My family is also huge on food, and my mom creates new dishes all the time. The thing about family is, each one is unique, and that’s what makes family so important. I always enjoy stories about how different cultures coming together can make something new and your family fits this perfectly. When I think about emigration from Europe I tend to get stuck on the colonization of North America. Seeing it from a different perspective such as an Italian family coming to Brazil is interesting. How all these different factor played into changing gender roles and your family’s traditions is something you don’t hear about often at the time period. I’m also interested, did the way your grandmother choose to live ever have any impact on how you view different cultures now? It is really interesting how a lot of “people immigrated mostly because overpopulation and industrialization in their home countries resulted in shortages of jobs” as the same thing has happened throughout history as every single time resources or opportunities are lacking humans seek it somewhere else. I believe that food is a huge part in every culture as no matter where you are from, your country or religion will always have a ritual that involves some type of food. Just like in your family, food has always been an important role for my family not only because it is “always a good excuse for gatherings, and eating and loving food is a trait we share” but also because my family has as custom to sit on a round table for at least one meal of the day, in order to share some quality time and bond while talking about our days. Also, the idea that recipes are no longer passed from generations is a thought that has always made me incredibly sad, or how we no longer take the time to write long letters for those we love, but instead use a less personal way of communication. Your family seems to have an incredible dynamic, and the fact that all of you listen to your hearts even if it means not following society’s standards is even better, it is indeed a quality I can respect and inspire to have myself. What an interesting lineage you have! Did you grow up in Brazil, then? The country fascinates me; I’d love to visit someday. I don’t think many people realize that there was an influx of European immigrants to South America around the time your grandparents migrated. We tend to think of migration as South to North or East to West. How do you think your family’s dynamic dynamics have shaped your own identity? I bet your family celebrations have the best food! Thanks for sharing your family’s history and tradition. I especially liked how you described food and the process of it being made as something very important to your family. I think this is something that is very common amongst various cultures and brings a sense of connection and togetherness. As I read about your Italian grandfather moving to Brazil in order to farm, it reminded me of something that was just brought up in one of my classes where we are currently looking at sustainable farming. John Boyd Jr. – an African American farmer – had said that “farming is a great part of history, we all came from the farm.” While in this instance he was specifically referencing his family’s history with slavery and sharecropping, I think that this idea can connect to many people today since a lot of societies are based around agriculture. Thanks again for sharing, I really enjoyed the article!